“Maybe we need to look death straight in the eye.” That is exactly what Emmett Till’s mother thought. More precisely, she wanted the country to look hate-fueled murder in the eye when she had her teenage son’s body tour the country in the state his murderers left it in. 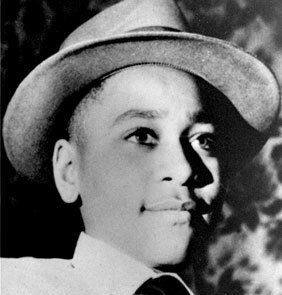 Who was Emmett Till? What is Chuck referring to when he talks about how Emmett’s mother’s decision to let the world see what had been done to his son? The murder of Emmett Till and his mother’s decision to let the world see what hateful bigots had done to her son galvanized the civil-rights movement. In August of 1955, one year and three months after Brown v. Board of Education, a fourteen-year-old black boy unschooled in the racial customs of the South traveled to Mississippi to visit relatives. With adolescent bravado, he whistled at Carolyn Bryant, a white woman. This inadvertent violation of a sacred code of the South cost him his life. Two white men dragged Till from his bed in the dead of night, beat him, and shot him through the head. Three days later his mangled body was pulled from the Tallahatchie River. It was Emmett Till’s first visit to the South. Eight days after arriving in Money, Mississippi, where the town line was marked with a sign reading, “Money — a good place to raise a boy,” Emmett Till was dead.If not for one extraordinary decision of Mamie Till, Emmett’s mother, the story may have ended there. At the urging of civil rights leaders, Mamie Till decided to leave the casket open at her son’s funeral. She told the mortician not to “fix” her son’s face. The world would see what had been done to him. 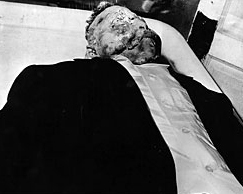 Tens of thousands of people viewed Emmett Till’s body, which was on display in a Chicago church for four long days. Gruesome photos of his maimed and distorted face flooded the national and international press. America was shocked out of comfortable complacency, and the Till case became international news. Two days after Till’s death, Carolyn Bryant’s husband and another white man were arrested and charged with his murder. During the trial the following month, the courthouse became a microcosm of race relations: black observers packed into the segregated balcony seats as the defendants’ families joked openly with prosecutors and jurors on the floor below. The courtroom took on a carnival atmosphere as snacks and soft drinks were distributed to white observers. Outside, the international press jockeyed for photographs and interviews that captured the ways of the American South. Till’s uncle identified the assailants in court — the first time a black person had testified against a white in Mississippi, and perhaps in the South. He was forced to leave town. After a five-day trial that made an open mockery of the possibility of justice, the defendants were acquitted. The Bryants celebrated, on camera, with a smile and an embrace. The federal government’s failure to intercede in the Till case led blacks and whites to realize that if change were to come, they would have to do it themselves. The murder of Emmett Till was a watershed in the development of the nascent movement for civil rights. Some historians describe it as the real spark that ignited broad-based support for the movement. Three months and three days after Emmett Till’s body was pulled from the Tallahatchie, the Montgomery Bus Boycott began. But here’s a murder I think all the fans of Bob will actually enjoy. It’s called BLOOD ON THE TRACKS. I am a young african american teen who just learned all the hiistory of emmett till. A boy who didnt deserve what he did. He died out of stupidity and hatred. Life is not ok..the world is not ok. we cannot go on living like this and praying and hoping that things are going to change i worry at night wondering if i am going to see tomorrow. Tommorrow is not promise like my granny and daddy told me..You have to live life,its short.i dont want to die like this young man did even after i might not die that way but i dont want to die out of another man stupidity and hatred..I hate black history month but i also love it. the reason why i hate it,it seems like im reliving their life and thats not a great feeling..It also make me a little racist but i never do anything to hurt any whites.the one reason i love black history month is that stories get retold and children today will learn what we went and still go through today in america. this is no land of the free. they might say we’re free but we’re not.I pray that some day this will all be over and i and the other million african americans can live i life in peace. yes this is a very sad story about emmett till. I always heard storys about him, but i never new it from this perspective. I love black history mth. even though its the shortests mth of the year. I enjoy teaching my daughter about our black culture and she enjoys learning about it.